Stop feeling overwhelmed. Break free from burnout. Rediscover joy! Are you constantly tired and exhausted? Do you wish life didn’t feel so chaotic and crazy? Have you ever felt like it’s impossible to find breathing room in your schedule? If you answered yes to any of the above questions, you are not alone — and I want to help! 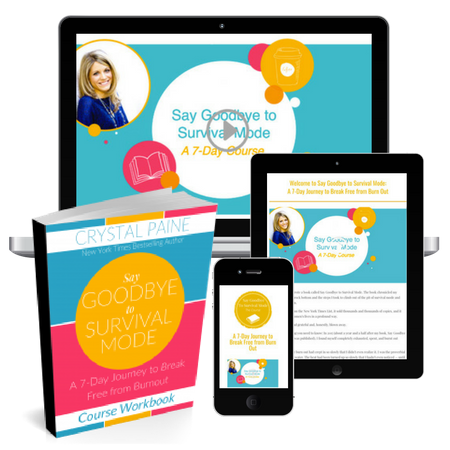 Sign up for my new course, Say Goodbye to Survival Mode: A 7-Day Journey to Break Free from Burnout! Buy Now for ONLY $37!